A curfew imposed by Egypt's interim government on 14 Egyptian governorates will be from 11pm (instead of 9pm) until 6am starting Saturday evening, state television announced, maintaining that only on Fridays — the traditional protest day — the curfew would remain at 7pm. The curfew, imposed on 14 August when the interim Cabinet re-introduced a state of emergency, entailed a daily curfew starting at 7pm until 6am in 14 governorates for a month. However, it was reduced to start at 9pm on 24 August. This decision was announced after Friday’s rallies, staged by loyalists of deposed president Mohamed Morsi, witnessed limited violence and a relatively low turnout in comparison to previous mass demonstrations on past Fridays. Hundreds of Morsi supporters were killed when security forces cleared sit-ins in Cairo and Giza on 14 August, whereafter authorities announced the curfew in an attempt to contain the security situation following the dispersal. 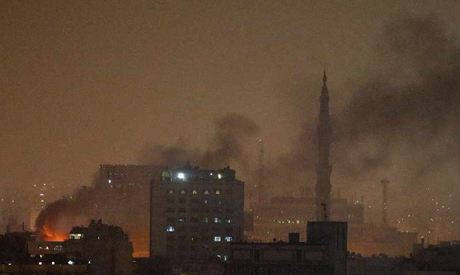 Morsi was removed as president by the army 3 July amid nationwide protests against his rule.